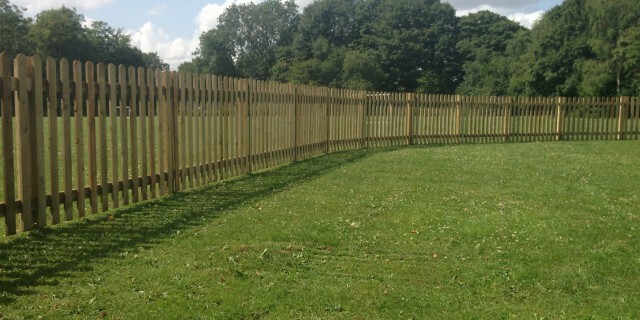 Picket fencing at Medstead school built in a curve to keep the youngest children safe and secure. As approved contractors we have all the necessary insurance and Health and safety documentation to go with the skill and experience to get the job done. This fence is 1200mm high with appropriate gaps between the pales to reduce the risk of climbing or injury.